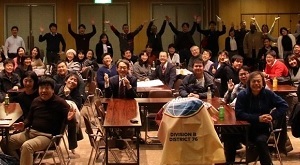 Toastmasters in Japan is said to have started in both Fukuoka and Tokyo. 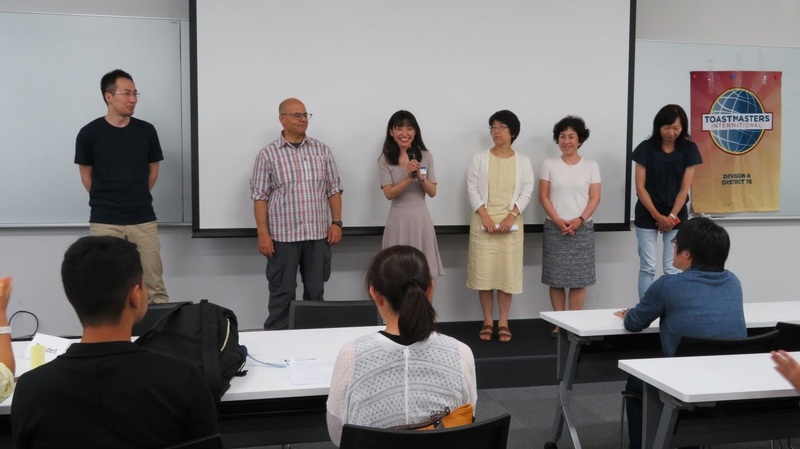 Although Fukuoka Toastmasters Club (TMC) was the first to hold meetings, the Tokyo TMC was the first officially chartered club in Japan in 1954.After several clubs had been chartered in Japan, the “Japan Toastmasters Council” (or JTC) was formed. This was created as a way to coordinate the activities of the various clubs around Japan. JTC also organized officer training seminars and workshops. Clubs officers in Japan had to gather at a single location to receive officer trainings. The person responsible for coordinating officers training and governance of the JTC was officially recognized as the “Japan Territorial Chairman” by Toastmaster International. After many years of hard work by the JTC led by a series of skilled Chairmen and Chairwomen, Japan finally had enough clubs to become a Provisional District known as “District 76P.” This was accomplished in July 2000. After becoming a Provisional District, Japan need to have more than 60 active clubs in order to become a Full District (without the “P” at the end of “76P”). All Toastmasters members in Japan strove to strengthen and build the Toastmasters community. From the time of Provisional District was established (2000) until the time of Japan became a full District (2004), 5 new clubs were added each year on average. Since that time, the District has continued to increase the number of clubs by 5 (or more) clubs each year. In February, 2004, Japan was approved as a full-fledged District. As new charted club can send participates to contest and have officers attend regular training events like other clubs, the new District 76 was also awarded the same privileges as other districts. Japan could now send its champion to compete in the English language World Champion Speech Contest at the International Convention. Further, past District Governors are now eligible to become International Directors. Thus, from 2004 onward Japan’s district leaders and speakers could meet and greet other members from other districts as peers in an ever growing international community. In the year of service from 2011/7 to 2012/6, District 76 achieved the President’s Distinguished District Award for the first time, and moreover, became the fifth out of 87 districts in the world. 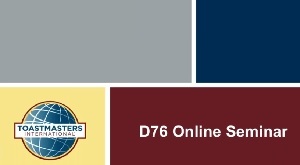 As of May 2016, District 76 has grown to 165 clubs, holds 4,525 members. As the history of the now full fledge District 76 continues to unfold it will not be too long before a new chapter on the splitting of the District will be written.